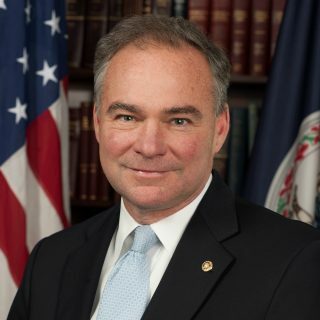 Sen. Tim Kaine (D-VA) is scheduled to speak at 1 p.m. Saturday, March 7, at the 2015 K-12 STEM Symposium, hosted at the Nysmith School, in Herndon, Va.
Sen. Kaine plans to discuss the importance of generating interest and passion for the science and technology fields early on in children’s lives in order to properly equip the next generation for future workforce innovation and needs. He will also touch on the value of career and technical education programs at the secondary school level, specifically in the State of Virginia, such as SySTEMic Solutions and Governor’s STEM Academies. Dr. Evan Glazer, Principal of Thomas Jefferson High School for Science and Technology and the program’s co-Keynote Speaker, will discuss how parents can best spark their children’s interest in science and technology at the elementary, middle and high school levels. Lou Von Thaer, President of the National Security Sector at Leidos, will also serve as the program’s co-Keynote Speaker. Notable panelists include Michele Weslander-Quaid, Global Cloud Ecosystem Community Lead at Google, Dr. Ann Carbonell, Senior Executive at the National Geospatial-Intelligence Agency, and Rob Zitz, Senior Vice President and Chief Systems Architect at Leidos. Pooja Chandrashekar, high school senior and semifinalist for the 2015 Intel Science Talent Search, is also scheduled to speak. This year’s theme, The Parent Factor: How to Engage Your Kids in STEM, is aimed to help parents encourage their children to pursue a STEM-related field of study, but who may not know what resources are readily available. Each attendee will receive a Parent STEM Action Plan with a vetted list of programs and tips about how to introduce STEM to children. This event is open to the public. Advance registration is required. For additional information, go to www.stemsymposium.com. The 2015 K-12 STEM Symposium is being made possible from the support of CTOVision, Fairfax County Chamber of Commerce, Intelligence and National Security Alliance, Professional Services Council, Sage Communications and United States Geospatial Intelligence Foundation.